Posted byAtulHost	 9th Aug, 2018 31st Oct, 2018 Leave a comment on How to Choose the Best Hosting Company? Today the Internet plays a very important role in the life of almost every person. We use it to chat, to work, to learn, to relax every day and as a result it influences our mind a lot. And if you want to start your own business you should take this fact into account. The best way to declare yourself in the market is to create your company’s website. But this is not all. You should be sure that your site represents you in the best way. It should be stable, show fast response time and somehow stand out of the other sites. How can you be sure that your site is like this? The answer is really simple: you should choose a good hosting company for hosting of your new site. As demand for site hosting today is quite high, there are a lot of hosting companies that offer their clients hosting on different terms. And the main question is how to choose that good hosting company which would provide uninterrupted operation of the site. The first thing you should do is to read some information about the company and to study a website of this hosting company itself. So, if the website looks queerly, pages hang up and you have to wait for the site to load, it is definitely not a good idea to host in this company. If they cannot provide fast work of their own site, how can they do it for yours! The second thing everybody looks up is the tariff plans that the company offers to its clients. Some companies attract their clients offering very cheap tariffs, like $1 for the whole package of services. Unfortunately really often this is not the best decision to have such a tariff, because there is no such thing as a free lunch, and paying less you risk the stability of your site. Just remember that good services would cost you more than $1. Another step you should take to choose your hosting company is to look up for its reviews in the Internet. There are a lot of sites that specialize in reviewing different hosting companies and as well you can usually find there feedback of the real users and get a lot of useful information from them. Which Hosting Company to Choose? As it has been already mentioned, there are a lot of hosting companies around the world, but relying on our experience, we can compare some three popular in 2018 hosting companies and you will decide which is better for you. This hosting company was founded in 2001 and has its office in Michigan. It offers four hosting plans the price of which starts from $3.93 to $99.59. You can choose the plan that would suit you the best. Among the pros we would mention stable uptime of 98.64%, fast page loading time (up to 1426 ms), support team that is available 24/7 and hack protection. As cons of this company we can mention quite expensive price in comparison with the other companies and some restrictions on the cheap hosting plan, such as limited number of websites (the client can host only one site) and limited number of databases the client can get (5 databases). SiteGround has been offering its services since 2004 and throughout all these years it has earned trust of millions of their clients. They highlight such advantages as very high uptime (99.98%), great response time (713 ms), reliable support team that provides different types of communication such as system of tickets, phone calls and chats, free security measures and Word Press hosting that is included in every plan. Of course every company has its disadvantages and Site Ground is not an exception. Among them we would list a fee for setup that would cost you some more $15 and restricted storage space (starts from 10 GB). Hostinger is a good choice for people who want to pay less, but get good services. It also has high uptime (from 99.93% up to 100%), quick load time (846 ms), various support options and free domain name. But on the other hand it has some cons. The company uses their own control panel which makes people, who are accustomed to a traditional one quite puzzled and another con is that you get only one domain for free. 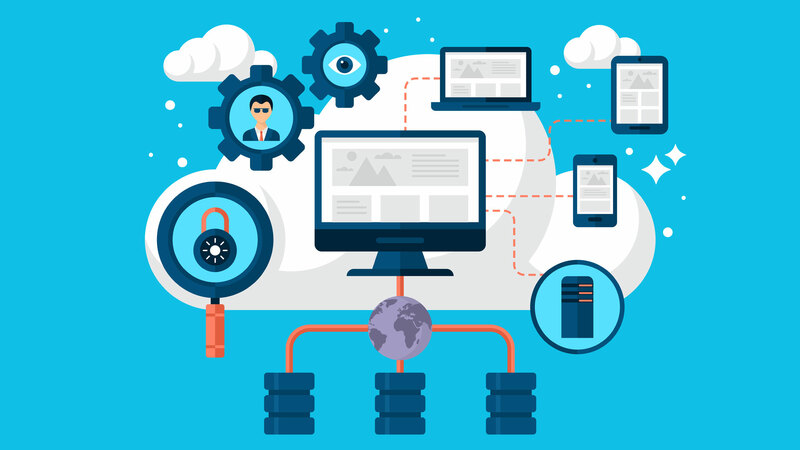 Touchstone Solutions Pvt Ltd Indian based company providing webhosting services since 2006, offering quality Cloud hosting, VPS, Cloud Servers & Domain name registration along with Managed Hosting solutions with 24/7 support. Their infrastructure is built on VMware vSphere Virtualization, which is the industry’s leading and most reliable virtualization platform for Cloud infrastructure solution. The Purpose-built Enterprise-class virtualization that enables all resources are guaranteed to always be available and will be permanently allocated to your VM’s. With VMware vSphere® NO Overselling or Sharing of resources is possible, resources like RAM, CPU and disk space is exclusively assigned to each Server or vps is guaranteed. There are No hidden costs or over charging extras at checkout as we find many hosting companies doing it but with Touchstone Hosting you will find simple transparent pricing – pay for only what your need with value for money. Check out their website TouchstoneHosting for details and plans. There are a lot of different hosting sites in the Internet. If you want to have a website, you should choose a reliable one to ensure stable working of your site. You should monitor the Internet and find the one hosting company that would suit you the best. Remember the key features that you should pay your attention to when choosing a hosting company and find your best variant! How to Choose Budget-Friendly Hosting Service for WordPress?